Please send the picture to dollhousemansions@gmail.com and tell me exactly want you want done. Just the outside or do you want the inside completed also, and what you would want done inside also. Hi Rick, I am looking for someone to build me a replica dollhouse of the house from the waltons T.V. show. That great lovely home with the porch in the front. Is this something that you would be interested in doing? Please tell me it’s possible! Yes I can build a dollhouse that will look like the Waltons TV Show house. 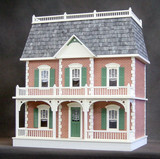 I have been building quality custom dollhouses and replicas of houses for 28 years. Please send me an email at dollhousemansions@gmail.com with your cell phone number so that we can discuss your project. What is your price for the front opening federal manor? Not sure if that kit is still available. Please call my cell phone 203 768-3816 to discuss some styles of dollhouses. 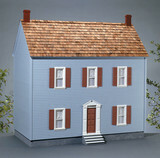 I can build over 200 different dollhouses in any size, style and price. I’m a master dollhouse builder for 28 years and build quality custom dollhouses for customers all over the USA. Looking forward to talking with you. 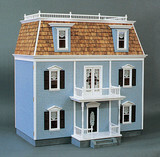 Please call my cell 203 768-3816 to discuss styles and prices on some of my dollhouses. Hi. You do lovely work. 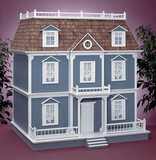 I just saw a mohogony dollhouse, with a blue and white interior ,with a reference to you and your site. I looked through your menu and I’m not seeing anything that comes close to the mohogony workhouse. Can you point me in the right direction and how much would something like that cost? I’m not sure of the dollhouse you are talking about, can you send me a picture of that dollhouse? I am in awe of your beautiful doll houses. Do you ship to, Edmonton, Alberta, Canada? How much do you charge for a Queen Anne, Williamsburg or North Park Mansion Kit. Thank you for the kind words about my work. I’m a Master Dollhouse builder for 29 years and a retired Industrial Arts/Technology teacher for 32years and build for customers all over the USA and other countries. I have a shipping company that can crate your dollhouse, ship it and insure it right to your door. 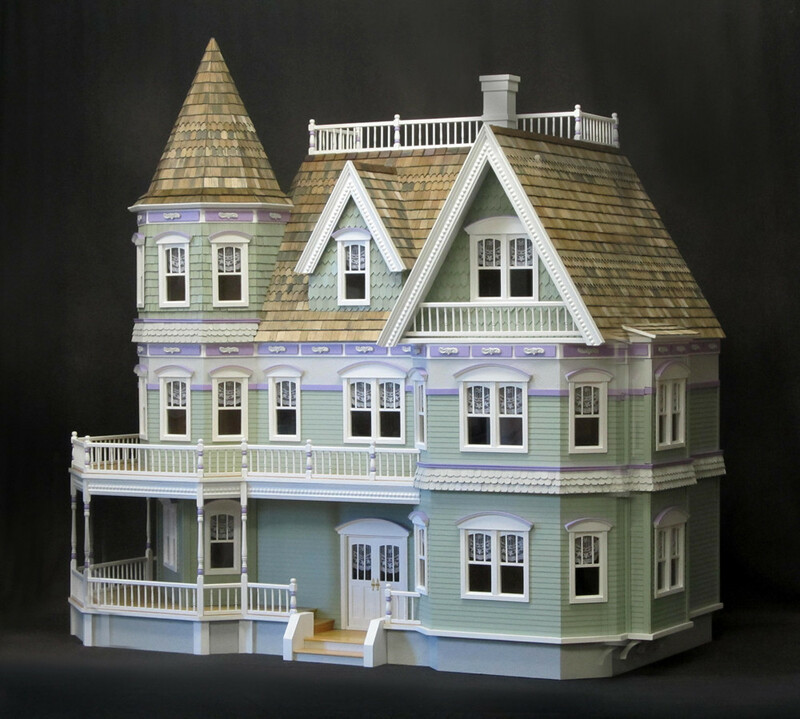 Do you want to buy just the kit or do you want me to build the dollhouse and custom finish it for you? My cell phone is 203 768-3816. 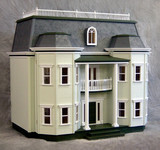 I can build over 150 different dollhouse kits in any size, style and price range. I also have a layaway plan for my customers while I’m building their dollhouse. My company has always been based on three things Trust, Honesty and Quality Workmanship. I also love to build these beautiful miniature dollhouses. I hope that we can make your dollhouse dream come true. Hi Andrea, I tried sending you an email to you with info and prices on the dollhouses you requested but it didn’t go through. The email I sent to was iyah_55hotmail.com is this your email address? Send me an email to dollhousemansions@gmail.com and I reply back to you. Yes, there is a local shipper that will ship to you. My cell is 203 768-3816. Would you be interested in purchasing.. Please send me pictures of the outside and all the rooms of both dollhouses and what you are asking for each. Where are you located?